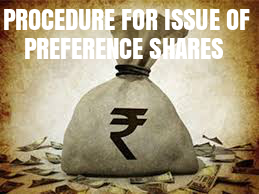 As per the provisions of Section 55(2) of the Companies Act, 2013 a company limited by shares may, if so authorised by its articles, issue preference shares which are liable to be redeemed within a period not exceeding twenty years from the date of their issue subject to such conditions as may be prescribed, Provided that a company may issue preference shares for a period exceeding twenty years for infrastructure projects, subject to the redemption of such percentage of shares as may be prescribed on an annual basis at the option of such preferential shareholders. a. Decided the amount of Capital to be raised through the issue of Preference Shares under Private Placement Basis. b. After deciding the Quantum of Capital to be raised, decide thereon the Price at which the Shares/Securities are to be issued. c. Take decision for opening of a Bank Account with a ‘’Scheduled Bank’’ for keeping application money under such allotment process. d. Take decision regarding appointment of a person to be called as ‘’REGISTERED VALUER’’, (Being a Chartered Accountant, having an experience of 10 years or more in the field of expertise) for the purpose of valuation of securities, who shall determine the price of Securities under such offer. e. After deciding the name of ‘’REGISTERED VALUER’’, then approach such person for obtaining valuation of securities of the company. a. Consider the Valuation Report of valuation of securities. b.Authorizing any Director of the Company to prepare a Draft of Private Placement Offer Letter in Form No. PAS -4 pursuant to section 42 Rule 14 of ( Prospectus And Allotment of Securities) Rules, 2014 and Share application form. c. Authorizing the Director to place the draft of Private Placement Offer Letter and share application form in next Board Meeting, before the Board for their Consideration & Approval i.e. 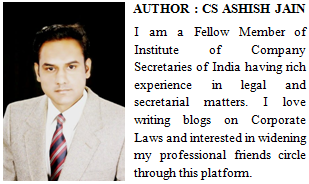 finalizing the draft of such Offer Letter. d. And further authorizing the Director, to maintain a complete Record of each and every Private Placement Offer in Form PAS-5 and simultaneously Placing such Record before the Board for their approval in the next meeting. 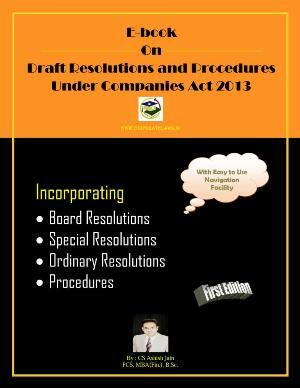 e. Decide the time, place and venue for holding General meeting of members for obtaining approval of members by Special Resolution under section 62(1)(c)and Rule 14(2) of Companies(Prospectus and allotment of Securities)Rules, 2014 and authorize one or more of the directors to sign and send notice of general meeting. f. And authorize one of the directors to digitally sign and submit necessary form with ROC i.e. form MGT-14, Form GNL-2. 3. In case of listed companies inform the Stock Exchage within 15 minutes of the board Meeting, of the outcome of the meeting by letter Exchange with which shares of the company are listed about the date of this meeting prior to the above mentioned board meetings. [Clause 19 of the Standard Listing Agreement]. 4. In case of listed companies inform the said Stock Exchange or fax. 5. File E-form MGT-14 with registrar of companies for the purpose of filing resolution passed by board of Directors pursuant to Section 179(3). 6. Hold and convene an Extra Ordinary General Meeting and pass a Special Resolution as required under section 55 for issue for preference shares. 8. File e-Form- MGT-14 with Registrar within 30 days of passing of Special Resolution. a.Notice of General Meeting along with Explanatory Statement. b.Certified True copy of Special Resolution. 9. Circulate letter of offer through registered post or speed post or through electronic mode to all the existing share -holders at least three days before the opening of the issue along with a Share Application Forms (serially numbered) to identified persons within 30 days of recording names of persons in PAS-5 with mentioning the time period up to which share applications can be deposited. 10.Offer shall be open for period Not less than 15 (fifteen) days or not more then 30 (Thirty) days. 11.File Form PAS- 4 and PAS -5 in Form GNL -2 with registrar within 30 days of circulation of offer letter. If listed, the same should be filed with SEBI. It is to be noted that the date of private placement offer letter shall be deemed to be the date of circulation of offer letter. · List of allottees Mentioning Name, Address, occupation if any and number of securities allotted to each of the allottees and the list shall be certified by the signatory of the form PAS-3. · Approve allotment by passing of Board Resolution. · Pass resolution for Issue of share certificates. · Authorize to two directors and one more person for signature on Share Certificates. · Authorize a director to file E-form PAS 3(Return of Allotment) to ROC within 30 days of allotment of securities. 13. After the last date fixed for receiving money, allot shares within 60 days of receiving share application money. ·Name, Address, PAN No., E-Mail ID of such security holders. ·No. of Securities held, Nominal Value, Amount paid up thereon & consideration received if allotted other than cash. b.Board Resolution for allotment of shares. 15. Deliver duly stamped Share Certificate in form SH-1 within 2 months from the date of allotment of shares. 16. As per Section-88 and the Companies (Management and Administration) Rules, 2014, make Entry of allotment of Preference Share under Register of Member maintained in Form No. MGT-1.